Garden. What does it mean to you? A tranquil, soft space for relaxing in, a wildlife haven, a family space to play and develop or an ultra-modern entertaining space with low maintenance planting. Whatever ‘garden’ means to you we have the expertise to make those dreams a reality. Design is an essential starting point in the development of any outside space and it must be client focused. At Green Estate we take the time to get to know you and what you want and need from your garden design. After an initial site visit and consultation we will produce a full written and pictorial quote. 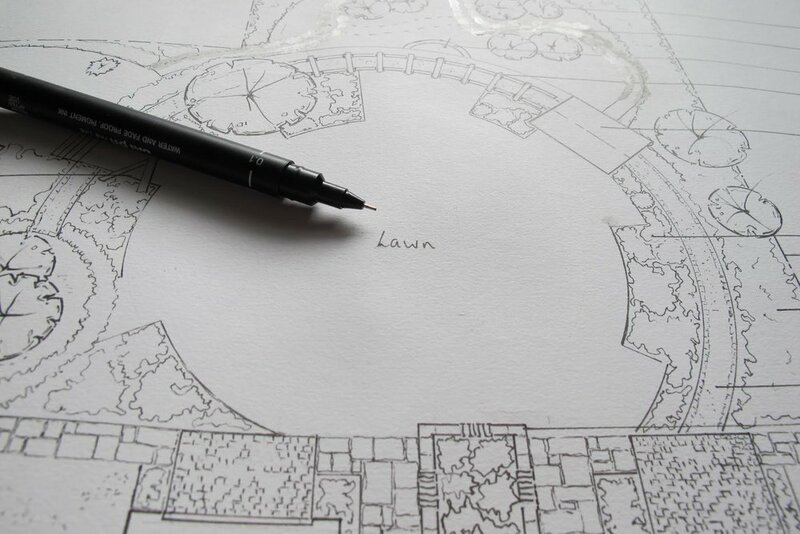 Our designs consider all aspects of planning issues, boundaries and external influences on the garden. Once you are happy with your design, the build process can start. A dedicated team from Green Estate Landscapes will be assigned to your project for the duration of the build so you can be confident of who is coming each day. Getting garden design right isn’t just about putting plants and pathways in the right place, it is ensuring that every last detail is perfect for you. Our garden designers and landscape architects have a passion for sourcing the best materials whether it’s a new composite for a patio or architectural salvage for planters or features. We can come up with designs based on your love of an architectural style, a particular plant or from photographs you have taken, our designers are experienced in asking the right questions to get to the heart of what you want and need. Have a look at our case studies below to see some of our projects or get in touch to see how we can help you.